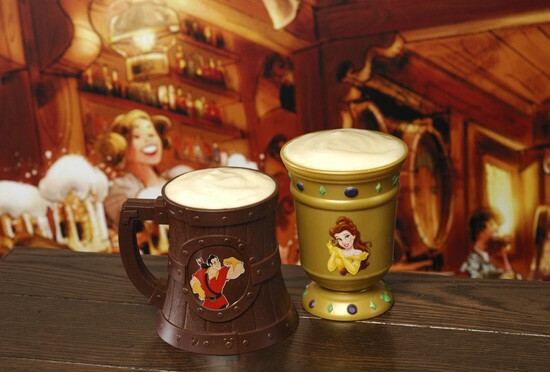 Disney announced today a new signature beverage to be offered at Gaston’s Tavern when the new Fantasyland opens later this year. LeFou’s Brew, which is named after Gaston’s sindekick is a no-sugar added frozen apple juice with a hint of toasted marshmallow, topped withe all-natural passion fruit-mango foam. It will be offered in souvenir steins and goblets and they are expected to be a big seller. The drink is reported to be identical to the ones sold at the Cozy Cone in Disneyland. The signature sweet at Gaston’s, by the way, is warm, gooey cinnamon rolls, served all day.